Kelford Cams have been producing high quality racing camshafts since 1968 but it is only in the last seven years that we have been operating with ultra modern design systems and cnc grinding machinery. Kelfords new racing camshafts are among the best available anywhere in the world and are found in many record breaking race engines in all forms of motorsport, whether it be professional or amateur racing, they have the will to win and they will do their best to help customers win. Maximum Velocity racing cams for Toyota 4A-GE engines. These cams must use Kelfords bucket, retainer and valve spring package that is available to add below. TURBO cam for all out drag racing. Kelford valve springs are engineered to match this camshaft and should be used to ensure optimum performance and reliability. 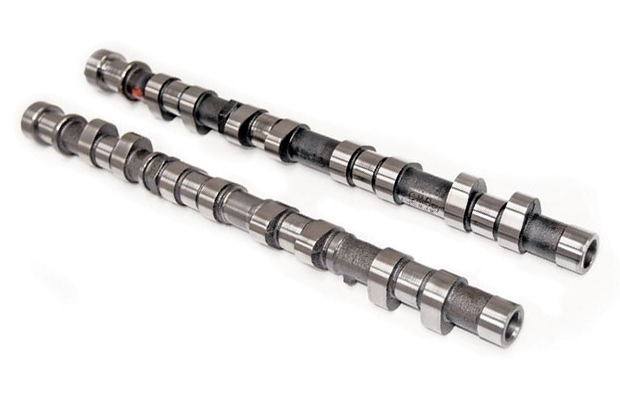 HV-Kit: Shim under bucket kit for high velocity camshafts. Includes buckets, retainers and springs. Fits Toyota Corolla 85-91: Fx16, Fx16 GTS, GTS, and Sport GTS. Note: Picture is for representation only. Actual product may vary. Kelford is a small company that, since 1968 has specialized in custom camshafts to suit each racers individual requirements. They have experienced rapid growth and their products are proving popular all around the globe. All of their team are engine builders, cam designers/manufacturers and racers. They have a vast knowledge of engine combinations for all types of motor sport and they know how to match camshafts to engine and vehicle requirements.